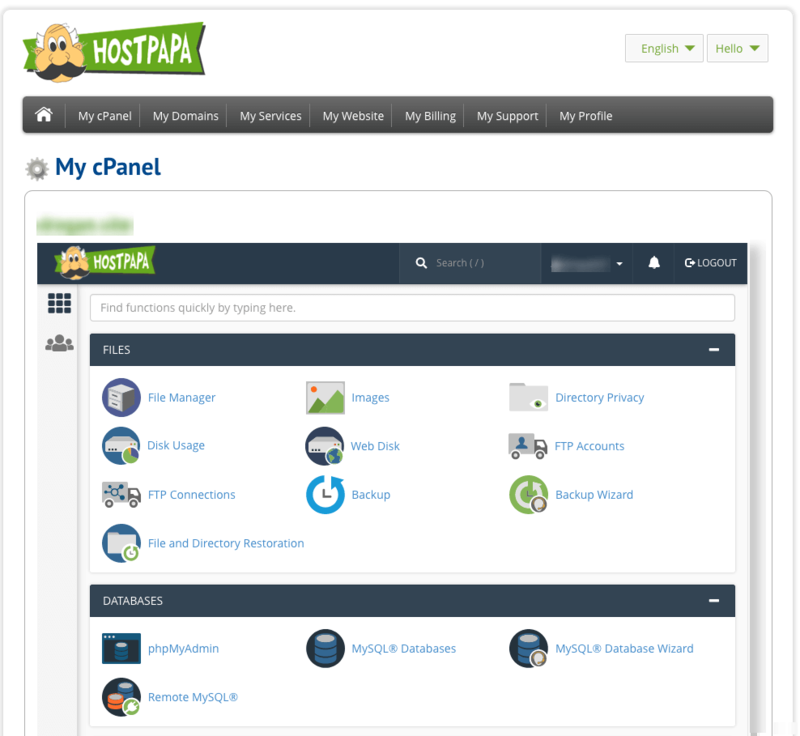 In this section, you’ll learn more about HostPapa Tools, such as HostPapa Dashboard and our control panel – cPanel. The heart of HostPapa’s system – the Dashboard – puts a range of services at your fingertips, including the ability to access our powerful website builder, manage your cPanel control panel, add and make changes to services on your account, manage your domain(s), access support tickets, update your contact and billing information, and more. You can find your Dashboard username and password in your welcome email. For more information on how to use HostPapa Dashboard, you can check various tutorials and guides we have here. Install web applications (WordPress, Joomla, Drupal, etc.). Add multiple domains, including addon domains and domain aliases. Create and maintain your email accounts, set up email filters and out-of-office responders. Access your emails via a web interface. Protect your websites with free Let’s Encrypt SSL certificates. You can find your cPanel username and password in your welcome email. For more information on cPanel, you can check our comprehensive tutorials and guides here.